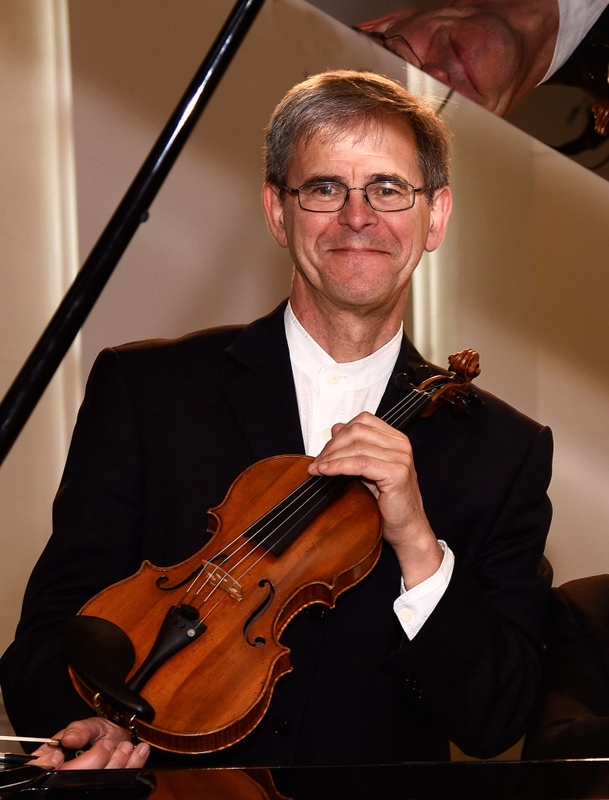 We’ve now had two of our lecture-recitals in our Music Matters series. These are lovely evenings, where we are given an informal lecture about a specific area of music from an expert on that topic. Music, both recordings and live, is also always incorporated into the talk, which makes it so much more of an experience rather than just a talk. David Juritz gave the first lecture, in which we were brought the music of the tango from South America. Not only did we learn about some of the techniques used in the dance and its musical accompaniment, especially those used on the violin and bandoneon, but we also had extracts played for us, both recordings of music from some of the most of prominent artists and composers of the tango, such as Astor Piazolla, and live performances by David Juritz himself. It was a very immersive and educational audio visual experience, and has definitely inspired me to listen to more tango, as I didn’t know much about it beforehand! 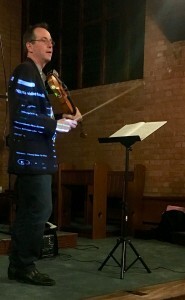 David Juritz giving us a demonstration of some of the techniques used on the violin. Our second, with Paul Barritt, was very intriguing, exploring the use of birds and their calls in classical music. Despite the high prevalence of birds in music from cuckoos and nightingales to quails and blackbirds, many of us don’t realise they’re there. So now we know they are, and what to listen out for, we’ll be hearing the birds in all the music we listen to! This lecture-recital was a follow on concert, after a trip to the Surbiton Club for the Blind. The concert there went down a treat as well. We provided them with entertainment they don’t normally get, but as one resident said, it was ‘very illuminating and enjoyable’ which I think is a rather nice complement! We have also had our ‘Beethoven and Beyond’ concerts, in which we played some great repertoire, including Beethoven’s Trio Op. 11 and Saint-Saëns’ The Swan, in care homes in Bromley, Croydon and Kingston, with John Flinders on the piano, and Julia Desbruslais on the ‘cello. It’s great to perform music to such a receptive audience that really appreciate the music, and can’t easily access it themselves. One comment from one of the audience members was particularly lovely: ‘Thank you for such a wonderful afternoon. For many of us, the music touched different parts within us. Thank you for making it happen for us and for your kindness and thoughtfulness.’ This is why we do what we do here at Everyone Matters – music touches these people in a way words and other actions can’t. The coming month looks just as exciting. We are starting the month celebrating Margaret Archibald’s 70th birthday. In honour of this occasion, we are holding a gala for Music Matters, where Margaret herself, Nicoline Kraamwinkel, Martin Smith, Mickey Posner and Julia Desbruslais will perform Weber’s Clarinet Quintet. They are also performing at Whitgift House in the morning, having a chat to all the residents afterwards as well.